hyper-irritable spots in tight bands of muscles, and can often be felt as a knot. ..Restrict movement and cause muscle weakness, along with referred or radiating pain. Trigger points can manifest as tension headache, tinnitus, TMJ, low back pain, or a decreased range of motion in the legs, and often accompany chronic musculo-skeletal disorders. Trigger Point Injections deliver medications that can contain all natural ingredients, or more traditional injections like lidocaine, steroids, or anti-inflammatory medications. Along with treatments like massage therapy, physical therapy, and electronic nerve stimulation, the doctors at Advanta Total Health are able to use trigger point injections to effectively treat a wide range of ailments. After performing a thorough diagnostic assessment, your doctor will be able to determine whether trigger point therapy is right for you, and which medication is appropriate. Advanta Total Health is located in Marietta, Georgia, 30067, and offers trigger point injections, along with a variety of other treatments, to promote health and wellness. Having graduated from St. Thomas Advanta University in Miami, Florida, with a Bachelor of Arts in Psychology and Master of Science in Human Resources, Dr. Schuyler completed his studies at Life University in Marietta. 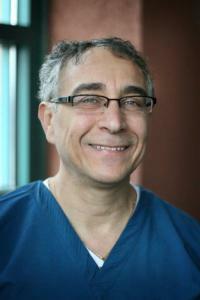 He is a Board Certified Atlas Orthogonist with an extensive research background.